The fourth night of MOFF was concluded with projection of movie „Quit Starring at my Plate“ by Hana Jušić in Competition program. Screening took place at the Croatian House of herceg Stjepan Kosača. Also, documentary „No Smoking in Sarajevo“ by Gianluca Loffredo was shown. Documentary tells a story about the band „Zabranjeno pušrnje“ (No Smoking) through the story’s about its founders Sejo Sexon, Nele Karajlić and Zenit Đozić. Their story symbolically describes the situation in Yugoslavia for the past 30 years. 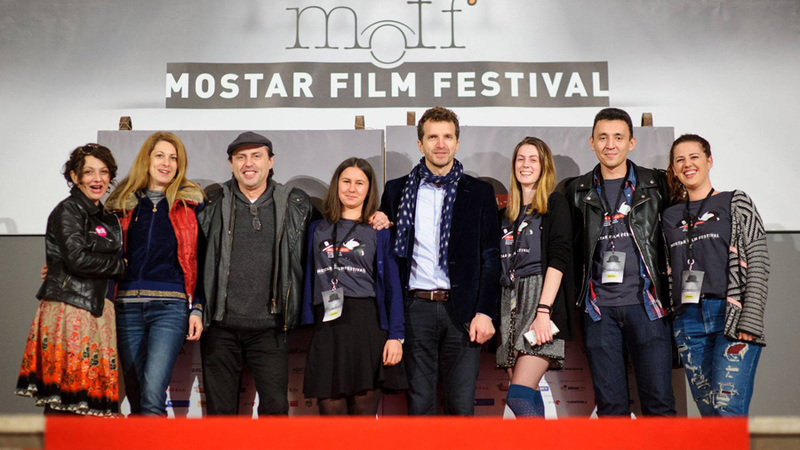 The most representative part of the fourth day at MOFF were screenings in program „!hej students to students“, where the documentary „The Man With the Iron Will“ by Amar ahić was pronounced the best movie. Program “!hej, students to students” was launched with the goal to show educational aspect of film art promotion and realization was by the patron of HT Eronet who provided significant reward for director of the best film. Daily projections started in the program „Children’s Classics“ with movie „Koko and the Ghosts“ by Branko Ištvančić. After movie projections in Festival’s Golden Pub the night was reserved for the show „Maca Cabaret: Two and Half Man“. New week MOFF starts with „Film Conversations“ with Zenit Đozić, the leader of movement „New Primitivism“ and Davor Sučić alias Sejo Sexon front man of band Zabranjeno pušenje („No Smoking“). Besides projections in Children’s program also there will be shown tough documentary ‘Sve je bio dobar san’ by Branko Ištvančić, a feature film „Across the Bridge of Love“ by Kristina Barbarić, and in Competition program movie „Lazar“ by Svetozar Ristovski.